A few weeks ago I posted some pics of the Converse Weapon Skate. 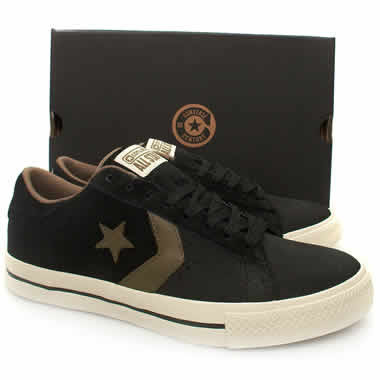 Today I have some pictures of the Converse Pro Leather Skate. There is a pair up on Converse.com in a Chocolate/Tan colorway. I also found a picture of what looks to be a Black/Tan colorway, they are pictured below. 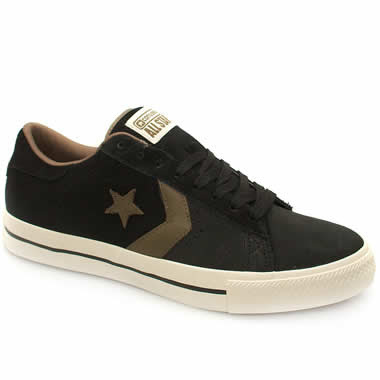 So far we've seen Converse Chuck Taylor Skate, Converse Weapon Skate, and now the Converse Pro Leather Skate. I really like this approach and I look forward to seeing what else Converse has down the like with their skate shoes. 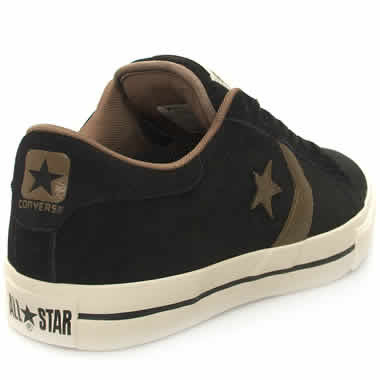 I actually bought my first pair of Converse skate shoes recently, the Converse Skate Star 2. Even though I don't skate, they're really quite comfortable. Anyway, here are are the pics of the Pro Leather Skate. 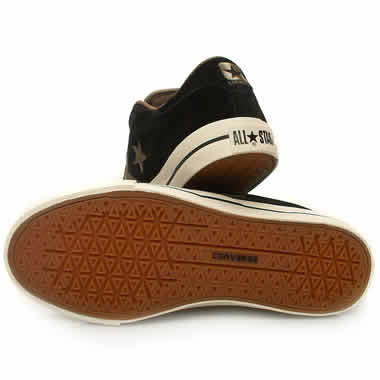 Well that will be it for today, Thank you for coming to the Converse Blog, before you go please vote in the new Poll. Before I go though, I want to talk about Andre Miller. 20 points, 3 rebounds, 6 Assists, 1 steal and logged over 44 minutes of action in the 76ers win over the Pistons in the first game of their series.